If you have always wanted a straighter smile but have been putting it off because you do not want to wear metal braces, Invisalign® might be for you. This orthodontic technique uses clear, comfortable plastic aligners to guide your teeth into place. Our doctors will help you determine whether Invisalign® is right for you and then create a treatment plan based on x-rays, photos, and a model of your mouth. Our doctors will give you a detailed plan, which includes treatment time and cost. Movement of your teeth is accomplished in phases of two-week time periods. Each custom aligner will be worn and then disposed of after two weeks, bringing you closer to your goal of a gorgeous, even smile. Dentist’s visits are scheduled every six weeks so that we can monitor your progress and the health of your teeth and gums. 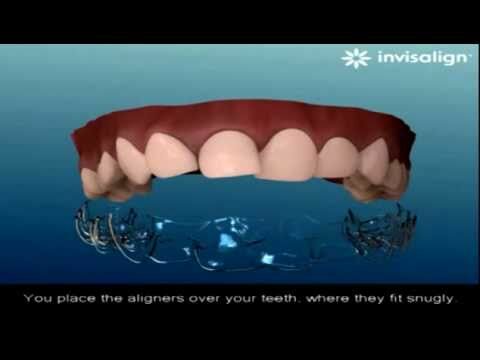 Can Invisalign® Correct Your Smile?